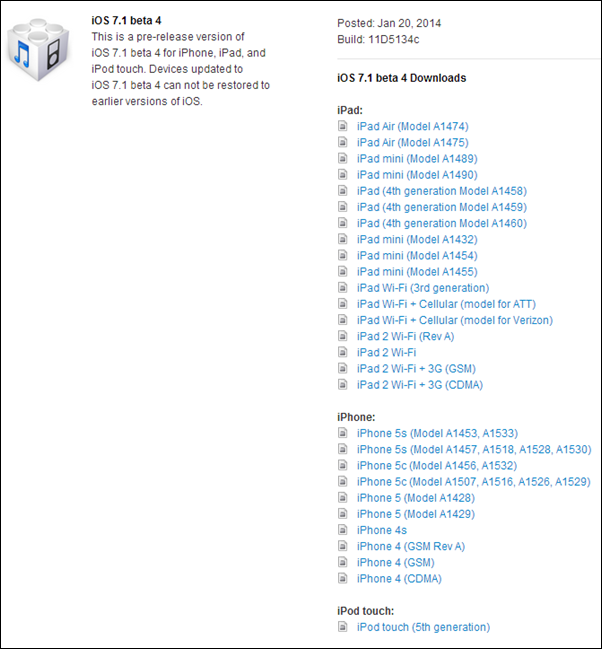 The fourth beta of iOS 7.1 has just been made available for download, featuring the usual rudimentary fixes and improvements. 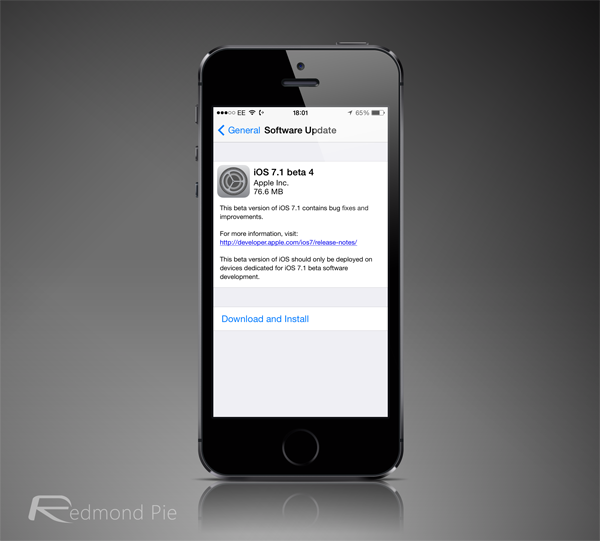 Having now reached beta 4 (build number 11D5134c), iOS 7.1 is closing in on general release. Often, there’ll be between five and seven beta releases before the OTA becomes available to compatible devices, so with this in mind, we hopefully shouldn’t be waiting too long before we can download and install the final version. Naturally, it us unknown as yet whether the jailbreak-ability has been affected by this recent update, so if you happen to be a fan of the Cydia way of life, please be sure to hold off until confirmation one way or the other has come through via a trusted source. We will obviously update the post once we know more about this. As per the release notes, there’s really not much to tell about iOS 7.1 beta 4 right now. Aside from the features we’ve already seen in the previous betas, this one brings your usual spate of performance enhancements and bug fixes, making for a generally smoother all-round experience. That said, we will be downloading this ourselves and doing a little bit of digging, so we’ll update you of all the new stuff in beta 4 in a separate post. Oh, and if you happen to find any hidden gems, be sure to let us know by sending us an email to tips [at] redmondpie [dot] com and we’ll be sure to share it. 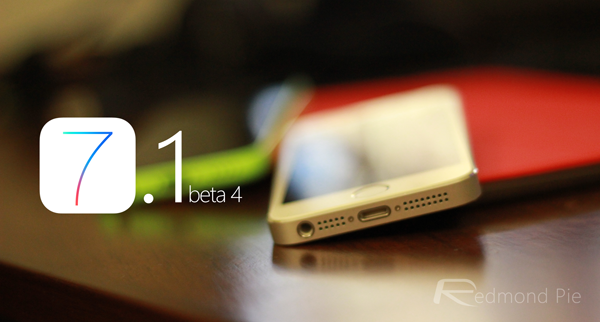 iOS 7.1 beta 4 can be downloaded right now from iOS Dev Center. You need to be a registered member at Apple’s developer portal in order to have access to the beta bits.